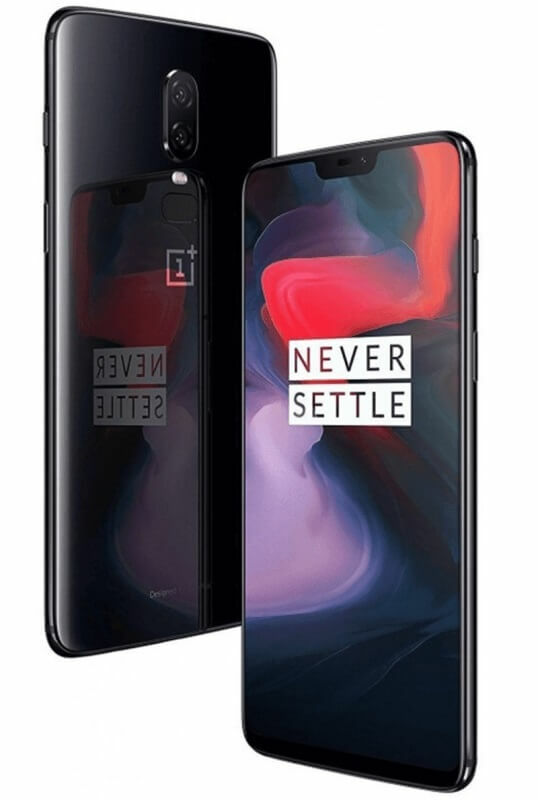 Home Digital Walker Lazada News OnePlus Smartphones OnePlus 6 Lands in PH; Official OnePlus Lazada Store Now Open! OnePlus 6 Lands in PH; Official OnePlus Lazada Store Now Open! The long wait is over! OnePlus has finally unleashed its latest flagship smartphone – the OnePlus 6 – in the Philippines through Digital Walker and its official Lazada store. As a recap, the OnePlus 6 comes with powerful specs and reasonable price tags. Housed with metal and glass body, the phone has daily water resistance, as well, to be more durable. Its front flashes a big 6.28-inch FHD Optic AMOLED display that brings 2280 x 1080 screen resolution. On top of it, the panel sports a Gorilla Glass 5 protection. Inside, it packs Snapdragon 845 chip, Adreno 630 graphics, up to 8GB of RAM, and 256GB of internal storage. The handset is also equipped with 3300mAh battery with Dash Charge 4A to accompany users on their daily tasks. See Also: OnePlus Outs OnePlus 6 Avengers Edition! Moving on to its photography department, the device is mounted with 16-megapixel IMX519 + 20-megapixel Sony IMX376 dual rear cameras with PDAF, 2x zoom, OIS, EIS, and LED flash. It boasts 16-megapixel selfie snapper with good low-light performance, too. Moreover, it is running on Oxygen OS 5.1 based on Android 8.1 operating system, while it is the first device to feature Android P developer edition. 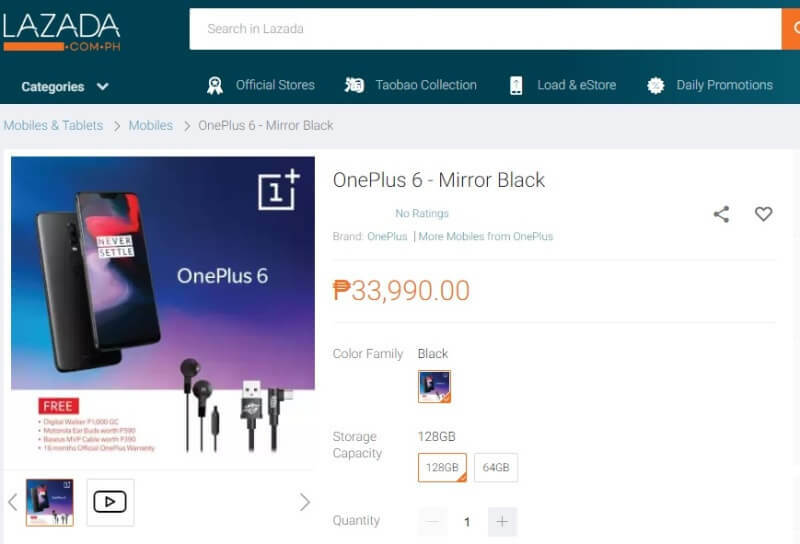 OnePlus has launched its first online store in the Philippines through Lazada! Meanwhile, aside from bringing its flagship killer to the Philippines, OnePlus has also launched its official store at Lazada – its first local online hub in the country. With that, consumers can now get the OnePlus 6 on the said platform. Cash on delivery as payment mode is also available. The OnePlus 6 sells for Php30,990 (64GB), Php33,990 (128GB), and Php37,490 (256GB).